The Publications Committee supervises the publication of the official journal, as well as any other publications sponsored by the Society. Editors of various publications (except the membership directory) are selected by the Committee, subject to the approval of the council. 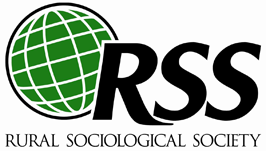 The Society publishes Rural Sociology, the official journal of the RSS, and The Rural Sociologist, the quarterly newsletter.